Notice: The following images were colored and clipped by Cartoon-clipart.co. They are meant strictly for non-profit use. Please include a source link when sharing online. Powerpuff Girls © Cartoon Network, all rights reserved. 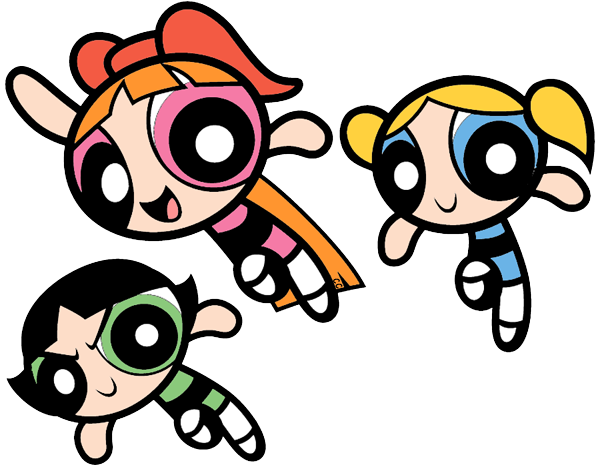 The Powerpuff Girls is an animated television series about the adventures of Blossom, Bubbles and Buttercup, three little girls with superpowers. This website is not endorsed by or affiliated with The Cartoon Network.